RTI in Practice: A Practical Guide to Implementing Effective Evidence-Based Interventions in Your School is an innovative and timely guide that presents concrete, balanced perspectives and directions for implementing an effective RTI model in your school. Realistic case scenarios appear throughout to bring the implementation strategies to life, and the book is packaged with a CD-ROM containing numerous reproducible and customizable forms, surveys, and screening tools, as well as an annotated list of resources for charting and monitoring individual student and classroom progress. 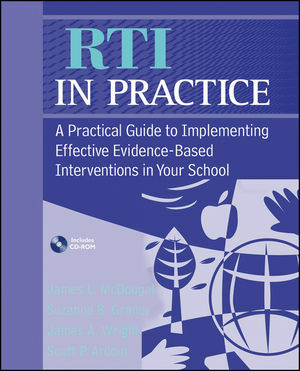 RTI in Practice: A Practical Guide to Implementing Effective Evidence-Based Interventions in Your School is a complete resource providing educators and school professionals with the tips¿and tools needed for successful RTI program implementation.